If you have been diagnosed of pleural effusion and your doctor is recommending Pleurocentesis but you do not know what it is all about, this article is going to provide you with the information you need to know about the condition. when the pleural fluid in the body accumulates excessively then such problem may occur and your doctor may suggest you to have Pleurocentesis. The Pleurocentesis also known as the thoracentesis is just insertion of hollow needle right into pleural cavity via the walls on the chest so as to extract blood, fluid, air and pus. 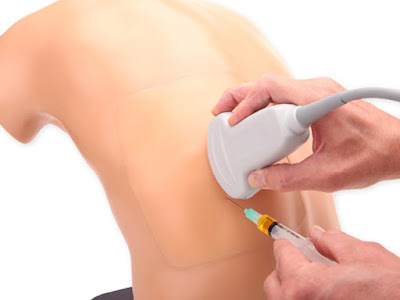 Probably you have heard of Pleurocentesis but still finding it difficult to understand exactly what it is, it is simply an advance invasive way to remove excessive accumulation of fluids in thoracic cavity. Basically pleural effusion is a condition in which excessive accumulation of pleural fluids occurs in thoracic cavity while pleurocentesis is a technique by which this excess is removed from body invasive.. The fluid accumulation is mostly between the lungs and the chest walls. The most effective means of treating this condition is removal of the excessive fluid through insertion of hollow needle into the body. The pleurocentesis is simply a surgical procedure involving insertion of needle through the chest walls. This procedure is known to be really effective in treating this condition. Whenever you start to experience this condition just meet your doctor for pleurocentesis as it is the best treatment you need for it. What are the possible causes of this condition that will make excessive fluid to be accumulated inside the walls of the chest? When will the Pleurocentesis be suggested as the best means of treatment for your condition? Effusions are mainly caused by congestive heart failure, kidney disease, kidney failure, and infection, low albumin levels in the blood, pulmonary embolism, cancer, liver cirrhosis, pneumonia, trauma and injury as well as autoimmune disease. No matter the cause of this condition the best solution to it is simply the thoracentesis medical surgical procedure. If you are diagnosed with this disease and you are thinking of what to do in order to remedy the condition, the best solution you need is Pleurocentesis. It is the surgical procedures used to remove excessive fluid away from the body using hollow needles. This medical procedure has to do with insertion of small tube into pleural effusion in order to drain the excessive fluid manually. The tube used for this treatment is usually small and normally remove after the fluids have been completely removed. The treatment can be done with either chest tube or with pleural drain when there is need for long term.